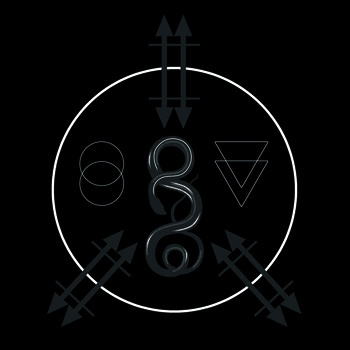 This is the third album from US Sludgy Black Metal group Wolvhammer. This is music that’s covered in filth and reeks of the underground; Black Metal that’s so impure it’s slowly mutating into a hideous Sludge Metal behemoth that threatens to corrupt and taint everything around it. The band are absolutely focused on their misanthropic mission and are honed and coiled to a lethal point. The great thing about this album is the songs themselves; there is a great sense of Doom’n’roll to these tracks that are propelled forwards with a Punk/Crust swagger that builds on their Black Metal roots and persists through the Sludgy mire they have created for themselves. Put simply; the songs bleed negative emotion through every sickened pore. The poisonous, bile streaked vocal shrieks are representative of dire inner struggles. They seem to reach out of the songs and force you to pay attention, all the while though you’re distracted by the grim musical bonanza that is spreading around you. The guitars ply their Blackened trade with consummate ease and the entire album is just flowing with feelings artfully plucked, brutalised and abused by these purveyors of filth. Does this sound good to you? Does it? Well it should. Wolvhammer have created a wonderfully dank album that I heartily recommend to all. This is a stunning album. Favourite Track: Death Division. It’s just so damn good. This entry was posted in Black metal and tagged Black metal, Blackened Sludge, Crust, Doom, Metal, Punk, Sludge, Sludge metal, Wolvhammer. Bookmark the permalink.